NEW YORK, October 9, 2013/African Press Organization (APO)/ -- The Committee to Protect Journalists welcomes Monday's decision by Liberia's Ministry of Justice to grant Rodney Sieh-the publisher of FrontPageAfrica who has been jailed since August for not paying libel damages-"compassionate release" for 30 days. The conditions behind Sieh's release were not clear, but the journalist's health had deteriorated in prison. It is also unclear what will happen to Sieh after 30 days. 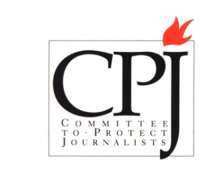 "We are relieved that Rodney Sieh has been released on compassionate grounds and call upon the authorities to ensure that he is not sent back to prison after 30 days," said CPJ Africa Advocacy Coordinator Mohamed Keita. "Liberia's libel laws should be reformed so that no journalist is incarcerated and no newspaper shut down in connection with publishing news." Sieh, who is also the managing editor of FrontPageAfrica, is undergoing treatment from malaria contracted in prison, according to his defense lawyer. Sieh was jailed because he did not pay damages of US$1.5 million in connection with a libel conviction against him. The journalist has filed an appeal.